Nina Simone onstage at the Newport Jazz Festival in 1968. By the early 1960s, Nina Simone was well-known to the world as a singer, songwriter and classically trained pianist. But around 1963, as race relations in America hit a boiling point, she made a sharp turn in her music — toward activism. First, there was the murder of Medgar Evers that summer. The civil rights leader was killed by a Klansman, shot in the back in his own driveway in Mississippi. Three months later, in Birmingham, Ala., four black girls were killed in a church bombing. In response to the grief and outrage, Simone wrote a powerful song with unsparing lyrics and a provocative title: "Mississippi Goddam." Then, in 1968, she identified a different side of the struggle. The Black Power movement was rising. Pride in being black and beautiful was expressed in big afros and raised fists. She aimed to capture that moment of joy in black identity — and though the song she wrote was addressed to children, it became an anthem for adults, too. "To Be Young, Gifted and Black" was a dedication to Nina Simone's friend, the playwright Lorraine Hansberry, who wrote A Raisin in the Sun. Hansberry was the first black woman to have a play performed on Broadway; she and Simone bonded over civil rights and radical politics. And then, in January 1965, Hansberry died of cancer at the age of 34. A few months before, she had told a group of student essay winners, "I wanted to be able to come here and speak with you on this occasion because you are young, gifted and black." Those words stuck in Nina Simone's head. In an interview recorded at historically black Morehouse College in Atlanta, she said, "I remember getting a feeling in my body, and I said, 'That's it: to be young, gifted and black. That's all.' And sat down at the piano and made up a tune. It just flowed out of me." Simone wrote the music, while the words came from her bandleader, Weldon Irvine. He reportedly sat writing the lyrics in his car, tying up a busy New York City intersection for 15 minutes as he scribbled on napkins and a matchbook cover. Simone had told him to keep it simple — write something that "will make black children all over the world feel good about themselves, forever." "To Be Young, Gifted and Black" caught on, and other artists quickly recorded it. Soul singer Donny Hathaway released a cover of the song in 1970. Aretha Franklin made own version the title track of an album she released in 1972. Meshell Ndegeocello, a 10-time Grammy nominee active since the early '90s, released the album Pour une âme souveraine: A Dedication to Nina Simone in 2012. She says when she was growing up, there really was a need for the song. "It's the first time I heard those words said about young black people," she says. "You know, being of color, you did not feel that you were gifted — and especially if you're black." She says she first heard the song while attending middle school in a suburb of Washington, D.C. Her teacher, a white woman, played it for a class of mostly black students. "In D.C., music wasn't so segregated. I mean, I love Burt Bacharach, and I grew up listening to The Carpenters. But, she also played me, like, Bob Marley, Salif Keita. It was the beginning of my awareness of Africa," Ndegeocello says. "And it was somewhere in one of those classes, or Black History Month, where she was like, 'We're gonna try to perform this song in a choir setting.' "
Last year, Nina Simone's profile was raised again as she was inducted into the Rock & Roll Hall of Fame, and her childhood home was declared a national treasure by the National Trust for Historic Preservation. Somi, another contemporary artist, honored the legend in her own way: performing and curating an evening of music honoring Nina Simone and Miriam Makeba at Jazz at Lincoln Center. The event was called Singing Protest & Memory. Somi was born in Illinois; her parents were immigrants from Rwanda and Uganda. She says her family encouraged her to take pride in her African heritage — she didn't really need a song to do that. Which prompts a question: Is the song still necessary? "Necessary is a tricky word, right? Is a song 'necessary'? 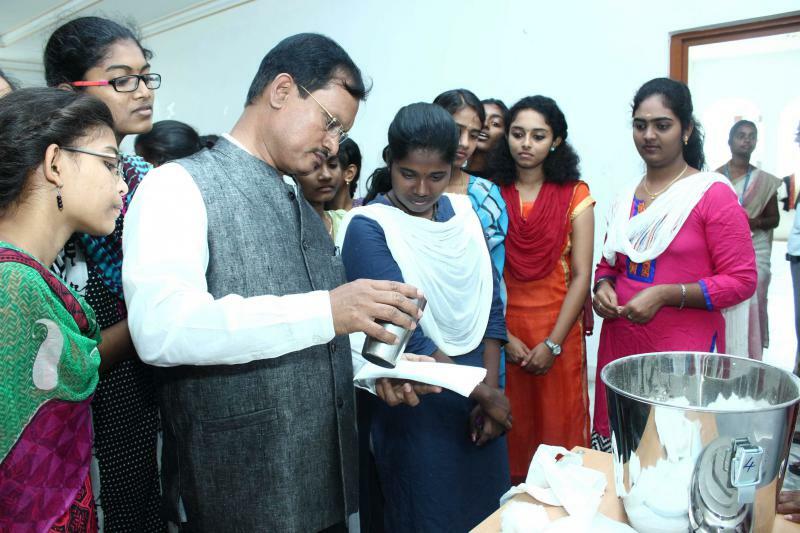 I think the message is absolutely still necessary," Somi says. "I think when, you look at the March [for] Our Lives that recently happened in Washington, and Naomi Wadler coming up there and feeling as though she had to speak, that speaks to the need for young black youth to be seen, to be heard." Eleven-year-old Naomi Wadler spoke to a Washington, D.C., crowd during the nationally televised demonstration, saying, "I am here to acknowledge and represent the African-American girls whose stories don't make the front page of every national newspaper." She was met by roaring applause. Meshell Ndegeocello invited singer Cody ChesnuTT to sing on her version of "To Be Young, Gifted and Black" for Pour une âme souveraine. The mother of two sons, she says she had a painful story from the news on her mind: "This was during the time of the whole Trayvon Martin incident." Martin, an unarmed African-American teenager, was fatally shot on Feb. 26, 2012 by neighborhood watch volunteer George Zimmerman in Sanford, Fla. Zimmerman was tried and acquitted for second degree murder. "And I was affected as a mother. And so for some reason, I felt it should be voiced with a male presence, a strong male presence," Ndegeocello says. "It's an inner anthem, I think — you know, it's existing on a subconscious level," she adds. "I only hope it makes you ask the question [of] why it had to be written. That's more important than anything else." Nina Simone said she wanted this song to inspire black children to feel good about themselves forever. Maybe that's a lot to ask from one song. But that message is as important as it was 50 years ago, when "To Be Young, Gifted and Black" first became an American anthem. 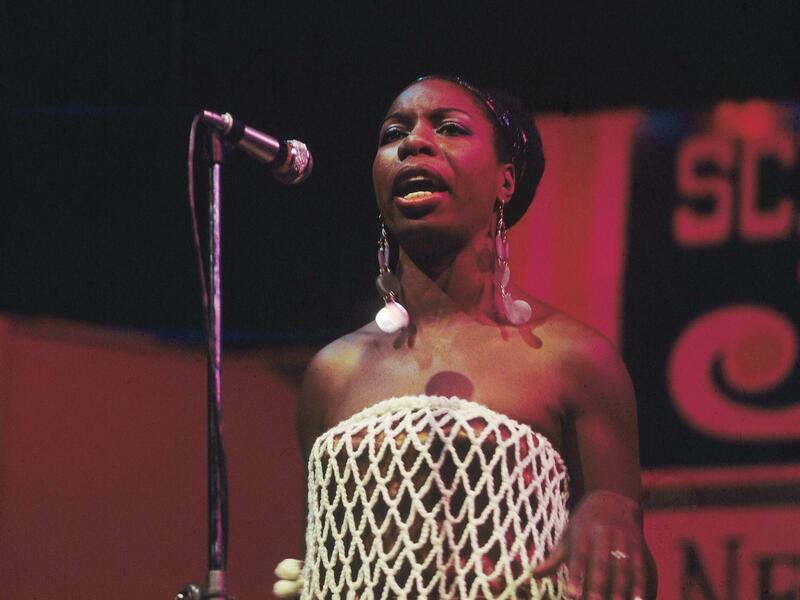 The voice of Nina Simone - singer, songwriter, classically trained pianist and activist. It's in that last role that she comes to our attention today because Nina Simone composed an American anthem. Noel King has the latest in our series. NOEL KING, BYLINE: Today for our American Anthem series, a song that uplifts and inspires. First, some history - we're going to start in 1963 with the murder of Medgar Evers. Evers was killed by a Klansman, shot in the back in his own driveway in Mississippi. Then three months later in Birmingham, Ala., four little girls were killed in a church bombing. The Reverend Martin Luther King Jr. gave their eulogy. MARTIN LUTHER KING JR: They died between the sacred walls of the church of God. And they were discussing the eternal meaning of love. KING: In response to the grief and outrage, Simone wrote a powerful song with unsparing lyrics and a provocative title - "Mississippi Goddam." NINA SIMONE: (Singing) Alabama's gotten me so upset. Tennessee made me lose my rest. And everybody knows about Mississippi goddam. KING: Fast forward to 1968, and you've got the scene for today's American anthem. The Black Power movement was rising. Pride in being black and beautiful was expressed by afros and fists raised in the air. Nina Simone captures this moment of joy in black identity. SIMONE: (Singing) Young, gifted and black. Oh, what a lovely, precious dream to be young, gifted and black. KING: Simone wrote the song for children. But it became an anthem for adults, too. "To Be Young, Gifted And Black" was a dedication to Nina Simone's friend, the playwright Lorraine Hansberry, who wrote "A Raisin In The Sun." Hansberry was the first black woman to have a play performed on Broadway. She and Simone bonded over civil rights and radical politics. And then in January 1965, Hansberry died of cancer at the age of 34. A few months before she died, Hansberry had told a group of student essay winners, you are young, gifted and black. Those words stuck in Nina Simone's head. Here she is. SIMONE: This will sound very strange but not to people who are really hip. She kept trying to tell me something. And I remember getting a feeling in my body. And I said that's it - to be young, gifted and black. That's all - and sat down at the piano at that moment and made up a tune. SIMONE: (Singing) Oh, but my joy of today is that we can all be proud to say to be young, gifted and black is where it's at. KING: Simone wrote the music. The words came from her bandleader, Weldon Irvine. Simone told him, make it simple to, quote, "make black children all over the world feel good about themselves forever." "Young, Gifted And Black" caught on. And other artists quickly recorded it, including soul singer Donny Hathaway in 1970. DONNY HATHAWAY: (Singing) We're young, gifted - gifted and black. KING: Aretha Franklin released her version in 1972. ARETHA FRANKLIN: (Singing) You're young, gifted and black. KING: We invited two contemporary artists, African-American women from very different backgrounds, to share their thoughts on this American anthem. MESHELL NDEGEOCELLO: My name's Meshell Ndegeocello. And I'm a musician and a parent. KING: Meshell Ndegeocello is a 10-time Grammy nominee. She released the album "A Dedication To Nina Simone" in 2012. She says when she was growing up, there was a real need for this song. NDEGEOCELLO: It's the first time I heard those words said about young, black people. You know, being of color, you did not feel that you were gifted - and especially if you were black. KING: The first person to play the song for her was a white woman - her middle school teacher. NDEGEOCELLO: In D.C., music wasn't so segregated. I mean, I love Burt Bacharach. And I grew up listening to The Carpenters. But she also played me, like, Bob Marley, Salif Keita. It was the beginning of my awareness of Africa. And it was somewhere in one of those classes or Black History Month where she was like, we're going to try to perform this song in a choir setting. KING: As time passed, though, it became less popular. SOMI: My name is Somi, and I'm a vocalist and a writer. KING: Last year, Nina Simone's profile was raised again when she was inducted into the Rock & Roll Hall of Fame. Somi honored her in her own way in 2018. She performed Simone's songs at Lincoln Center in New York City. Somi was born in Illinois. Her parents were immigrants from Rwanda and Uganda. They encouraged her to take pride in her African heritage. She didn't really need a song for that, which made me wonder if she thinks this song is still necessary. NAOMI WADLER: I am here today to acknowledge and represent the African-American girls whose stories don't make the front page of every national newspaper. SOMI: You know, that speaks to the need for black youth, you know, to be seen, to be heard. NDEGEOCELLO: It's an inner anthem, I think. It's existing on a subconscious level. KING: In 2012, Meshell Ndegeocello, who has two sons, invited the singer Cody Chesnutt to perform "Young, Gifted And Black" on her album "A Dedication To Nina Simone." NDEGEOCELLO: This was during the time of the whole Trayvon Martin incident. And I was affected as a mother. And so it just really - for some reason, I felt should be voiced with a strong, male presence. And that's why I chose Cody Chesnutt. CODY CHESNUTT: (Singing) When you're young, gifted and black, your soul's intact. NDEGEOCELLO: I hope it only makes you ask the question, why did that song have to be written? KING: Nina Simone said she wanted this song to inspire black children to feel good about themselves forever. Maybe that's a lot to ask for one song. But that message is as important as it was when "To Be Young, Gifted And Black" first became an American anthem. (SOUNDBITE OF NINA SIMONE'S "TO BE YOUNG, GIFTED AND BLACK") Transcript provided by NPR, Copyright NPR. Black directors had a "banner year" in 2018, according to the USC Annenberg Inclusion Initiative. 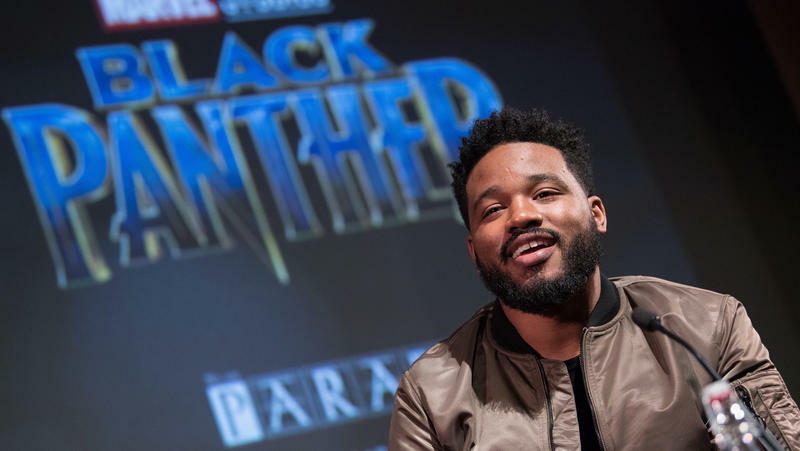 The organization, which tracks diversity in Hollywood, says there were 16 black directors with films among last year's 100 top-grossing scripted movies — a big leap from 2017, when there were only six. The tally in 2018 is by far the most the Annenberg Inclusion Initiative has recorded in a single year, and it doubles the number found in 2007, the group's first year of data. Editor's note: This story was originally published in December and has been republished on Feb. 22 with updates. A 26-minute documentary about the work of a menstrual pad pioneer has earned an Oscar in the Documentary Short Subject category. "I'm not crying because I'm on my period or anything — I can't believe a film about menstruation just won an Oscar!" director Rayka Zehtabchi in her acceptance speech Sunday night. People who live outside Texas know the names of the state’s biggest cities – Houston, Dallas, San Antonio, Austin. And many have also heard of a town of less than 3,000 – Shiner. That, of course, is because of the beer that’s been brewed there since 1909, and is now distributed in 49 states. But even some Texans may not have heard of another town, just 14 miles of farmland down Highway 90. Like Shiner, it was founded in the 1800s, is big on its German heritage, and is home to less than 3,000 people. We're talking about Hallettsville. The two towns have long had a friendly rivalry. The statistics are startling: If you’re a black man in America, you’re five times as likely to go to state prison as a white man. Latinos and African Americans make up one-third of the U.S. population; they make up two-thirds of the prison population. You can’t talk about incarceration without talking about race. Christopher Scott knows that too well. From the Great Depression through the Civil Rights era, "The Green Book" travel guides were issued every year to help African-American drivers safely explore the country — and Texas.